A Dangerous Legacy | Elizabeth Camden | Audiobook Download - Christian audiobooks. Try us free. 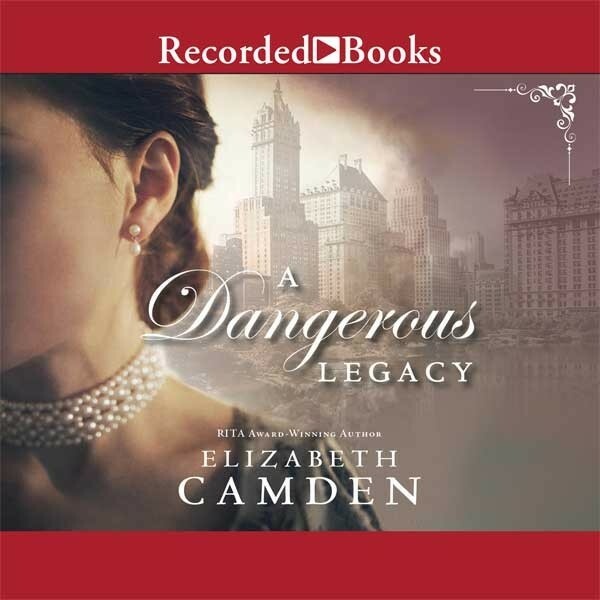 Lucy is determined to keep working as a telegraph operator at a news agency, even though the arrival of Sir Colin Beckwith threatens her position. When she discovers Colin's shocking secret, she agrees to assist him if he helps her find her family's stolen inheritance--not realizing that the trail leads into a web of treachery, danger, and conspiracy. Page-Turning Romance and Intrigue in Award-Winning Author's Next Historical Novel Lucy Drake's mastery of Morse code has made her a valuable asset to the American news agencies as a telegrapher. But the sudden arrival of Sir Colin Beckwith at rival British news agency Reuters puts her hard-earned livelihood at risk. Newly arrived from London, Colin is talented, handsome, and insufferably charming. Despite their rivalry, Lucy realizes Colin's connections could be just what her family needs to turn the tide of their long legal battle over the fortune they were swindled out of forty years ago. When she negotiates an unlikely alliance with him, neither of them realizes how far the web of treachery they're wading into will take them.